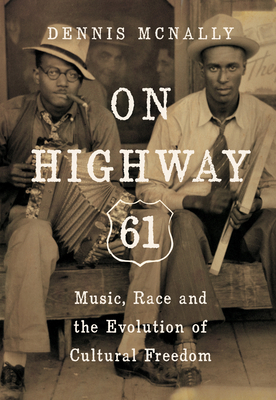 On Highway 61 explores the historical context of the significant social dissent that was central to the cultural genesis of the sixties. The book is going to search for the deeper roots of American cultural and musical evolution for the past 150 years by studying what the Western European culture learned from African American culture in a historical progression that reaches from the minstrel era to Bob Dylan. The book begins with America's first great social critic, Henry David Thoreau, and his fundamental source of social philosophy: ---his profound commitment to freedom, to abolitionism and to African-American culture. Continuing with Mark Twain, through whom we can observe the rise of minstrelsy, which he embraced, and his subversive satirical masterpiece Huckleberry Finn. While familiar, the book places them into a newly articulated historical reference that shines new light and reveals a progression that is much greater than the sum of its individual parts. As the first post-Civil War generation of black Americans came of age, they introduced into the national culture a trio of musical forms--ragtime, blues, and jazz-- that would, with their derivations, dominate popular music to this day. Ragtime introduced syncopation and become the cutting edge of the modern 20th century with popular dances. The blues would combine with syncopation and improvisation and create jazz. Maturing at the hands of Louis Armstrong, it would soon attract a cluster of young white musicians who came to be known as the Austin High Gang, who fell in love with black music and were inspired to play it themselves. In the process, they developed a liberating respect for the diversity of their city and country, which they did not see as exotic, but rather as art. It was not long before these young white rebels were the masters of American pop music - big band Swing. As Bop succeeded Swing, and Rhythm and Blues followed, each had white followers like the Beat writers and the first young rock and rollers. Even popular white genres like the country music of Jimmy Rodgers and the Carter Family reflected significant black influence. In fact, the theoretical separation of American music by race is not accurate. This biracial fusion achieved an apotheosis in the early work of Bob Dylan, born and raised at the northern end of the same Mississippi River and Highway 61 that had been the birthplace of much of the black music he would study. As the book reveals, the connection that began with Thoreau and continued for over 100 years was a cultural evolution where, at first individuals, and then larger portions of society, absorbed the culture of those at the absolute bottom of the power structure, the slaves and their descendants, and realized that they themselves were not free. Dennis McNally received his Ph.D. in American History from the University of Massachusetts at Amherst in 1977 for a biography of Jack Kerouac which was published by Random House in 1979 under the title Desolate Angel: Jack Kerouac, the Beat Generation, and America. He became the Grateful Dead's authorized biographer in 1980 and the band's publicist in 1984. In 2002, he published A Long Strange Trip/The Inside History of the Grateful Dead with Broadway Books, a division of Random House. It made the New York Times best seller list.